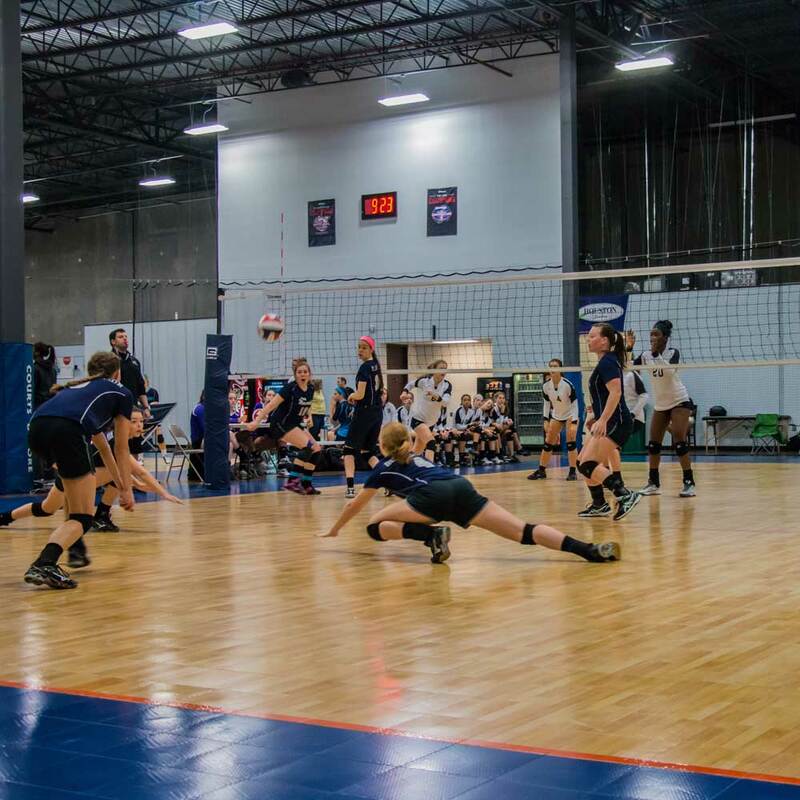 The Official Playing Surface of the NCAA Volleyball Championships and USA Volleyball National Teams, Response is athlete approved for increased performance at any level. Low maintenance requirements save you money and frustration and your court can be ready in three days. Response HG has proprietary SportGuard™ state-of-the-art surface technology resulting in a durable, factory-applied and field-renewable polyurethane finish. Choose your perfect floor with Response High-Resilience™. Your athletes deserve improved shock absorption so they can enjoy their sport and perform at the highest levels with Lateral Forgiveness™ and improved durability. Response High-Resilience was designed to improve dated flooring. With Responsive HR you avoid potentially costly wear and tear issues and potential exposure to hazardous materials which can happen when replacing old flooring. Response HR is complemented with Lateral Forgiveness so there is optimal ball movement and less strain the athletes’ bodies. Defense™ is a proven performer no matter what sport, ensuring your surface fits any need you have. With long life and low wear and tear and low costs, our floors are ideal for heavy use. Our fast install means you can be playing in no time. 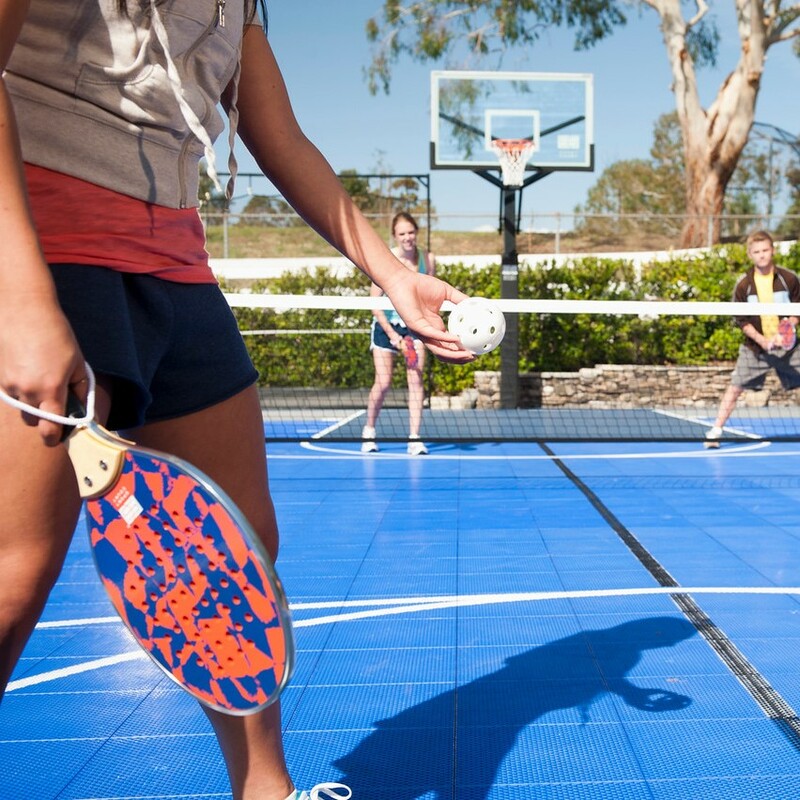 PowerGame™ has minimal skin abrasion as an outdoor surface and is made of the best materials and UV stabilizers to ensure it lasts for years. The patented Double-Tier shock absorbing grid and Lateral Forgiveness™ lessen impacts on the body so that young and old can enjoy the sports that they love. 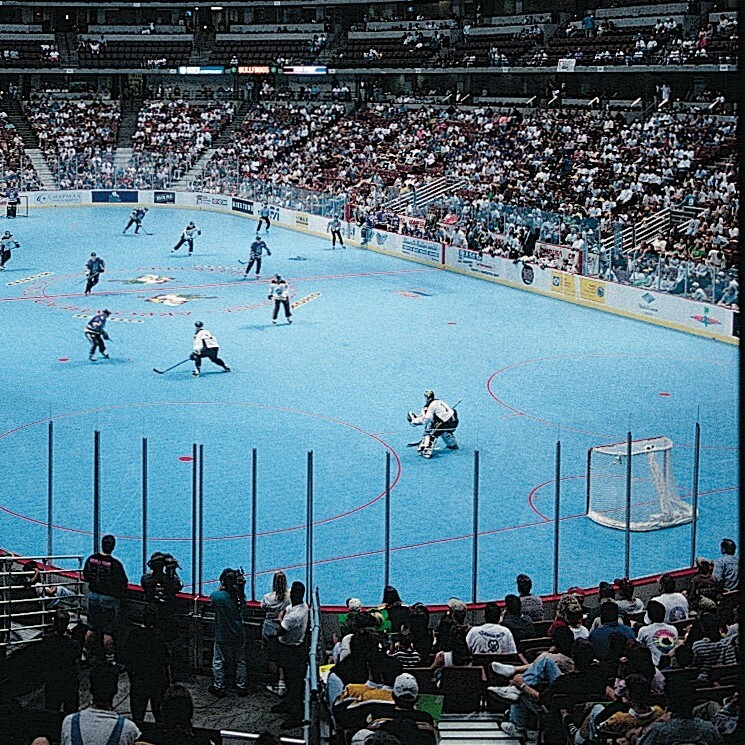 SportGame™ is the premiere athletic surface technology for any sport or event. The Patent-Pending design means less scrapes and bruises and low costs. The Lateral-Forgiveness™ results in less bodily stress and great ball response. This is ideal for racquet sport athletes, regardless of skill levels . 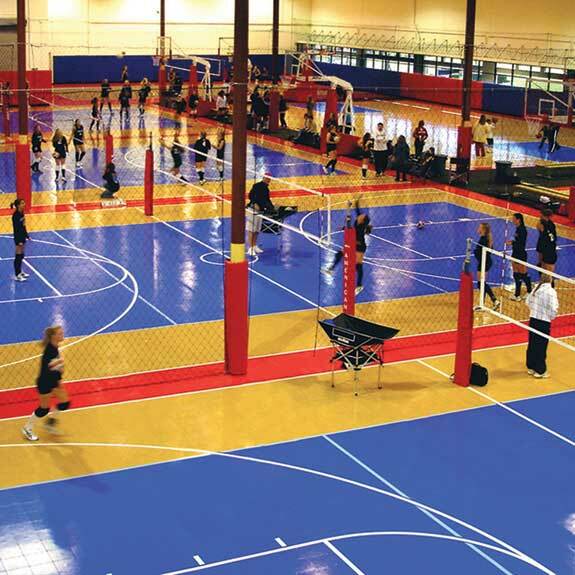 SportDeck™ retrofits over most hard surfaces and outlasts blows traditional acrylic courts out of the water. SportDeck™ has been the highest standard of outdoor surfaces for nearly 20 years and provides superb ball control and a fast pace of play while reducing bodily impact with patented Lateral Forgiveness™. 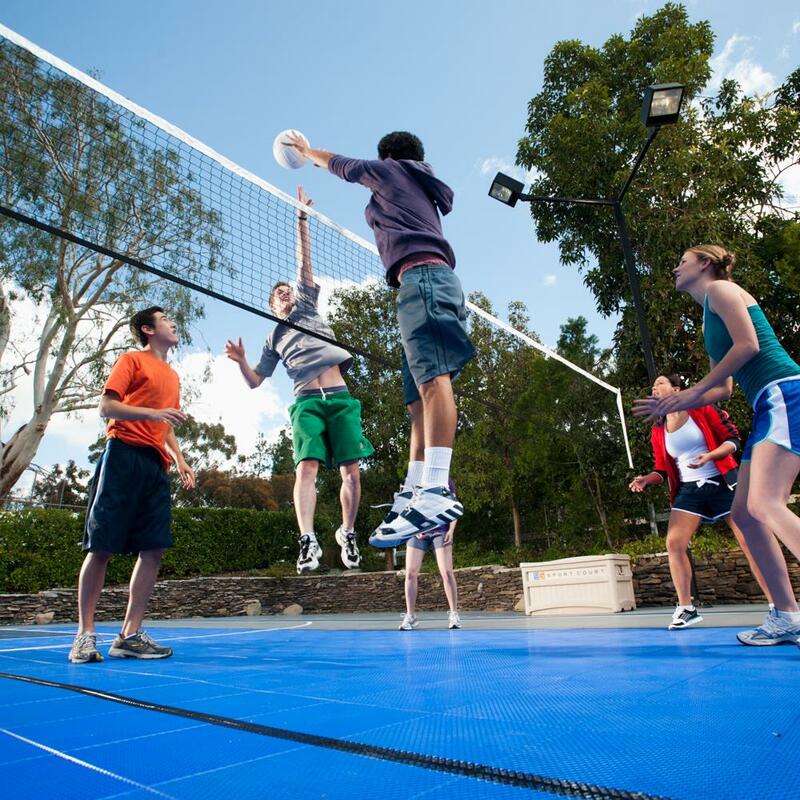 SportBase™ is a high-performance alternative to concrete for your Game Court or outdoor court surface. 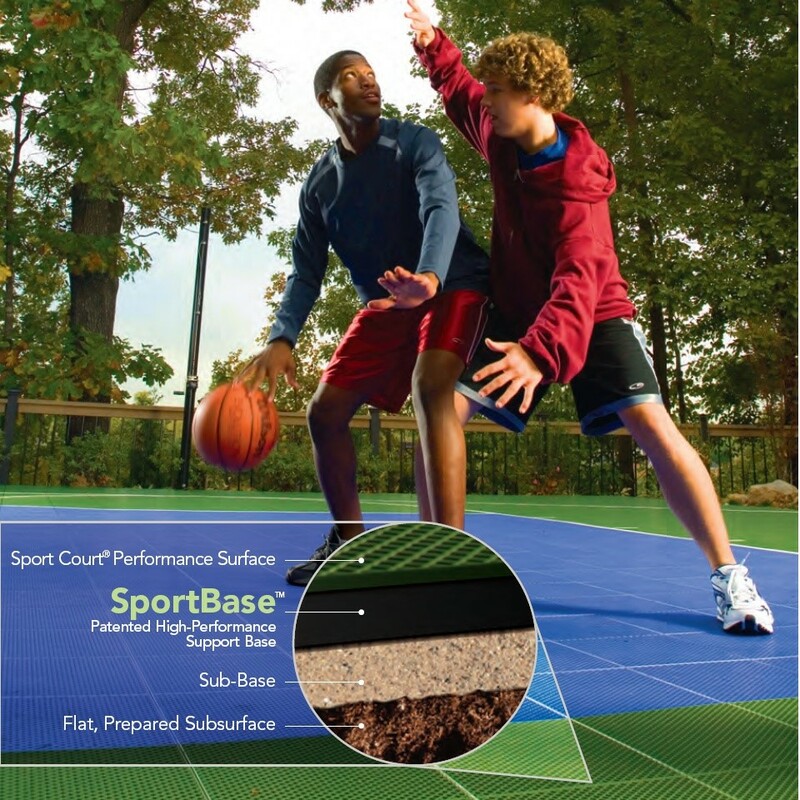 Built using, 100% recycled material, SportBase™was specifically engineered to be applied under a Game Court system. It’s a solid foundation. 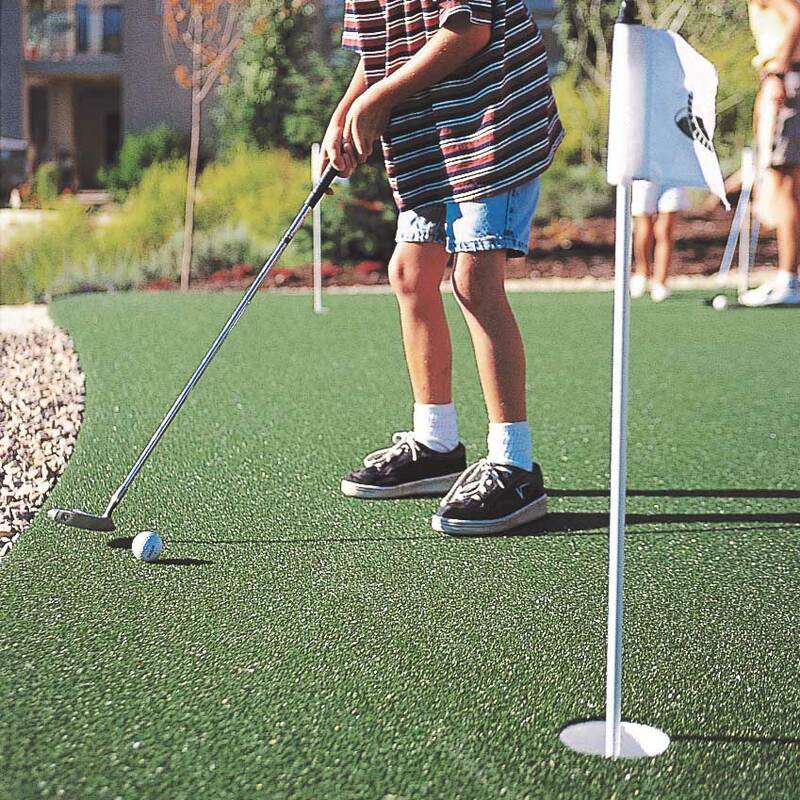 SportLawn is ideal for backyard play areas, batting cages, and other recreational events, such as bocce ball courts. Our premiere line of turf products provides outstanding comfort and little to no maintenance. Spike Turf is an made specifically for for batting cages and similar areas This durable, comfortable product feels just like grass, putting your athletes right out on the field. Grass is difficult and expensive to maintain. Play Turf is the solution. It means that your elementary school or daycare outdoor play area is safe, natural feeling and doesn’t need expensive upkeep or watering. 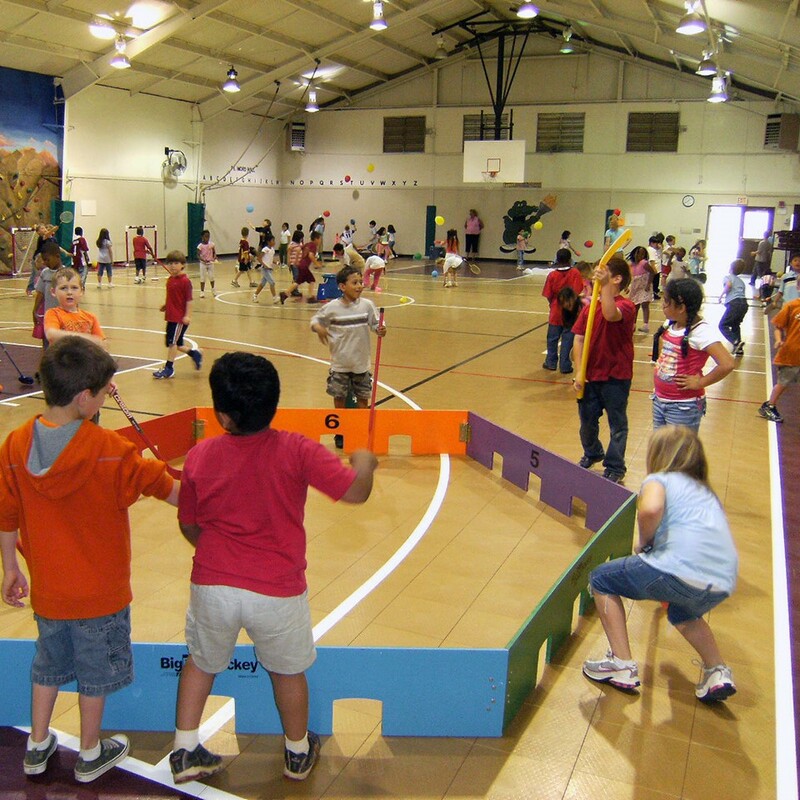 Sport Court has come up with a quality in-ground basketball hoop systems to guarantee the best in performance and safety. Our Slam Systems don’t corrode and you can adjust the advanced height adjustment system so people of all ages can enjoy the fun. 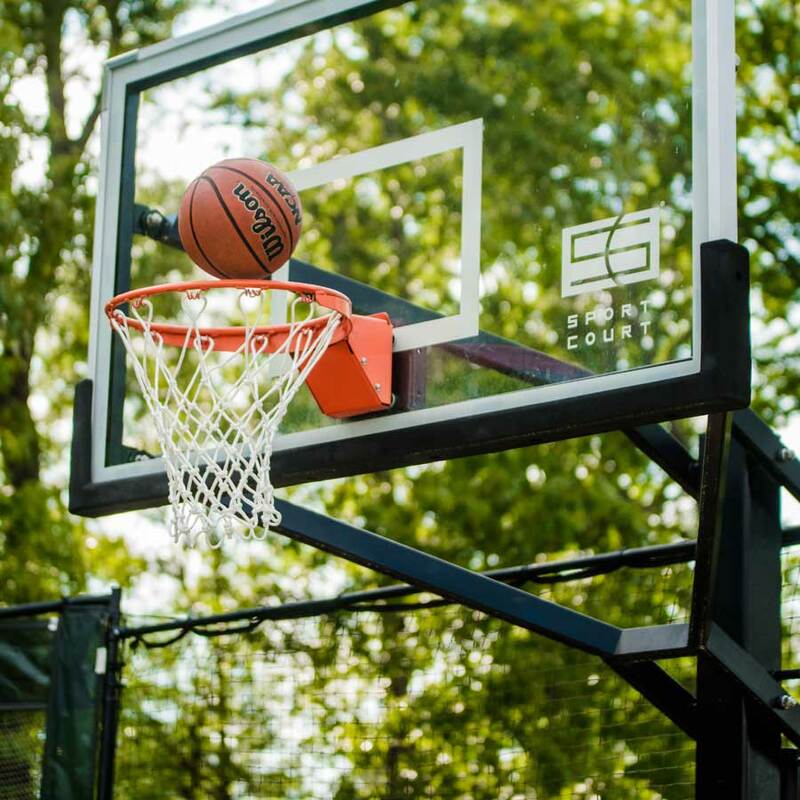 They feature tempered glass backboards which deliver pro-level ball rebound, and the included backboard and pole pads provide even more safety. Sport Court Light Systems mean the game isn’t over when the moon rises. 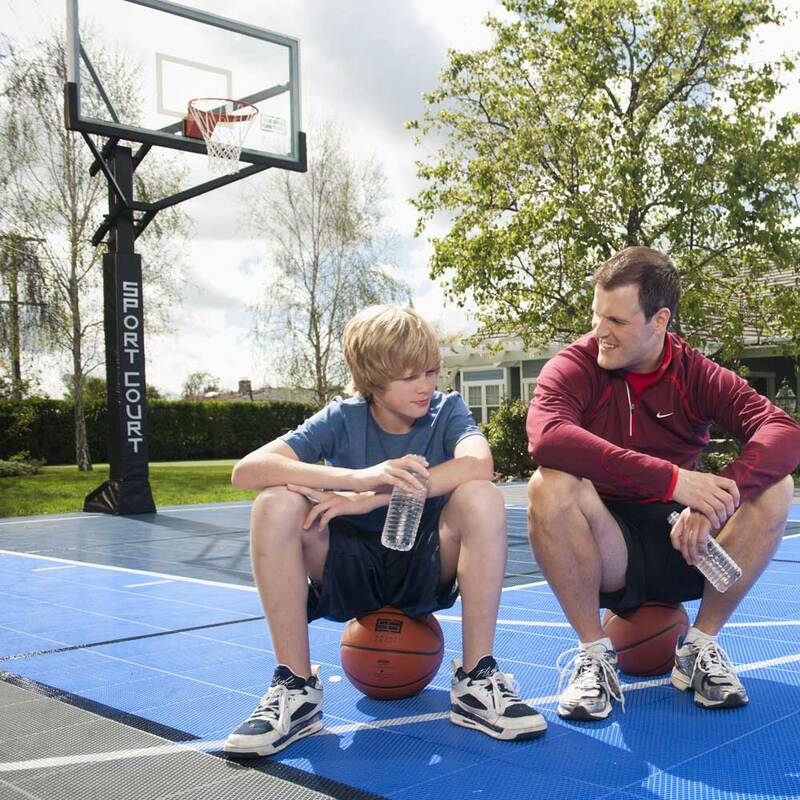 Our single and double headed lighting solutions allow your family to enjoy a friendly game of hoops far into the night. Copyright © 2019 Applied Surfacing Technology. All Rights Reserved.